With the continuous promotion of the process of revitalizing the equipment manufacturing industry in China, the speed of industrial upgrading has been accelerating, and the demand for fasteners has been increasing. This has also led to an increase in the demand for excellent special steel used in fasteners. According to rough statistics, there are about 40,000 varieties and millions of fasteners in various forms at home and abroad, mainly used in the automotive industry, machinery manufacturing, electronics industry, construction and maintenance industries, and so on. Among them, the automotive industry is the largest user, its demand accounts for about 23.2% of the total sales of fasteners; followed by the maintenance of the industrial market and construction, its demand accounts for about 20% of the total sales of fasteners; the third is electronic Industry, its demand accounts for about 16.6% of the total sales of fasteners. Industry insiders predict that during 2013 and even the entire â€œTwelfth Five-Year Planâ€ period, the potential market for Ute Steel for fasteners will be very large. It is estimated that in 2013, the production and sales volume of fasteners in China will reach 7.2 million tons to 7.5 million tons; by 2015, the market size of China's fastener industry will be close to 200 billion yuan. Therefore, the demand for excellent special steel used in the production of fasteners will continue to show a rising trend. 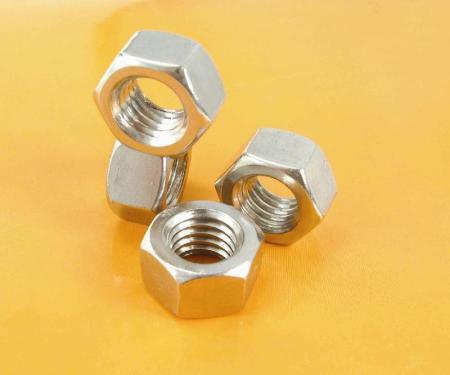 The industry believes that benefiting from the rapid development of automobiles, wind power, construction, manufacturing, high-end equipment, new energy and other industries, in the medium to long term, the demand for fasteners in China will continue to grow rapidly. The state attaches great importance to the development of fasteners in some industries. On November 12, 2012, the National Development and Reform Commission and the Ministry of Industry and Information Technology issued the â€œCircular on the Implementation of Special Work Related to Industrial Revitalization and Technical Modification in 2013â€, which will be used as fasteners for automotive engines. Seven projects were listed as special projects in 2013, including gear trains for high-speed trains, energy-saving and environmentally friendly automatic transmissions and key components, marine gear transmissions, automobile engines and automatic transmission chains, automotive engine fasteners, and automobile suspensions. Springs, automotive high-strength powder metallurgy parts, etc. The steel used in the fastener manufacturing industry is mainly cold-headed steel wire rods, and the grades are 22A, 35K, etc. The specifications range from 6.5mm to 20mm. This cold-headed steel wire is mainly used for manufacturing bolts, nuts, rivets, bolts, etc. . Due to the different operating temperatures of the fasteners, the materials chosen are also different. The working temperature is below 370Â°C, and the medium-carbon steel after quenching and tempering is generally used. For steels above 370Â°C, heat-resistant steels are selected; below 480Â°C, chromium-molybdenum low-alloy pearlitic heat-resistant steels are selected; below 540Â°C, chromium and molybdenum are used. Vanadium low-alloy pearlitic heat-resistant steel; below 570Â°C, high-chromium martensitic heat-resisting steel is selected, but the linear expansion coefficient of this steel is small, and the pre-tightening force in cold state cannot be too large to prevent it from reaching working temperature. At that time, the fasteners are overloaded and yielded. In recent years, China's steel industry has increased the research and development of fastener steel. At present, nearly 40 steel companies, including Baosteel, Xiangsteel, Baotou Steel, and Shougang, are producing cold heading steel in China, and some steel grades are close to or have reached advanced foreign standards. There is also a group of steel mills that have established cooperative relations with the fastener industry and formed the industrial cluster of wire rods for cold heading in China. The product varieties include low-carbon, ultra-low-carbon, medium-carbon (tempered), low-alloy steel, and surface carburized and hardened steel. The specifications are 5.5mm to 42mm, covering almost all of the fastener steel. demand. Although the development of domestic cold-headed steel wire rods and wire rods started late, it has developed rapidly. Especially after the mid-1980s, high-speed wire rod production lines and wire rod rolling lines have been put into production. They are cold-rolled steel wire rods and disks. Article production provides equipment guarantees. As Chinaâ€™s fastener manufacturing industry develops to produce high-end products, higher requirements are placed on fastener steels. Such as petrochemical equipment fasteners, mainly used for high pressure containers, all kinds of cylinders, cans and other equipment, which is characterized by contact with acids, alkalis, salts and other corrosive media, to withstand the test of a variety of harsh environments. The steel used for high temperature fasteners requires a sufficiently high yield limit, high relaxation stability, high enough permanent plasticity, and oxidation resistance. In order to ensure the sealing of the high-temperature container, the tightening bolt and nut must be given a certain pre-tightening force. According to the experience of thermal power plant operation, it is generally stipulated that the pre-tightening stress is 250MPa~350MPa. The long-lasting plasticity of the bolt steel after long-term operation at high temperature should be less than 3% to 5% to mitigate the brittle fracture of the bolt steel. Industry insiders believe that the development and production of steel for fasteners in China has started late, and it still cannot fully meet the current domestic production needs of fasteners, nor can it meet the demand for exports. In addition, in China's production and market circulation of cold heading steel, a large number of grades such as G3506, G3507, and G4105 in the JIS standard and many steel grades in the ASTM standard in the United States have also been borrowed. According to industry experts, according to the requirements of the fastener industry for fastener steel, steel companies must increase their efforts in the research and development of cold heading steel to develop high-strength, high-heat-resistant, high-moldability cold heading steel to meet increasingly stringent requirements. The mechanical performance requirements of the fasteners.